In this bundle you'll get 2kg of our most popular seed feeder mix with a 2-port steel RingPull feeder. 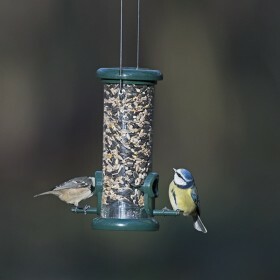 We use these high quality feeders and seed here on the farm and there's always a queue! 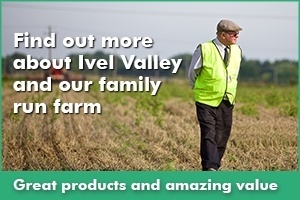 The bird food is designed to go in seed feeders and is mixed and packed on our farm. It also includes a super insect and suet pellet which we also make. This is the ultimate bird seed mix – high in energy and low in waste. 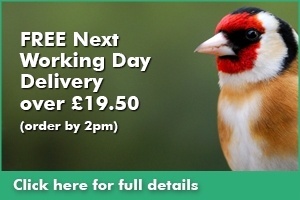 Five years in development and designed to attract more beautiful birds to your garden. 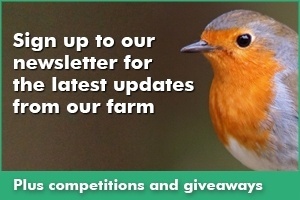 And best of all our Ready Peck 5 a Day Seed Feeder Mix is wheat free. 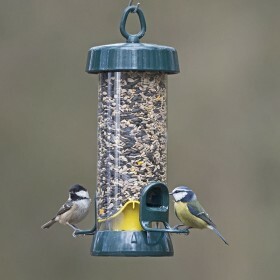 Using wheat and large cereals in bird feeds tends to attract unwanted garden birds like pigeons, that's why we offer many types of wheat free wild bird seed that are designed to attract smaller, rarer wild birds to your garden. Our "Five-a-Day" Ingredients - Suet, Oats, Seeds, Nuts and Insects.